It's no surprise that I adore new music that respectfully owes plenty to the old greats. There is a fine line (that takes a giant leap to cross) between banging out sound-alike tunes and creating something entirely fresh yet familiar, comfortable, and friendly. Very few cross that line as well as Jeff Litman. Jeff smacked us hard over the head a few years back with his phenomenal debut Postscript. I heaped praise on it but remarked on the album's not-so-subtle backward nods. I've revisited Postscript countless times since and an interesting thing has happened. No longer do I hear the obvious influences first and Jeff later. Jeff's voice is deliberate and clear. I should have given him more credit. The first great Too Poppy album of 2012 is Jeff Litman's Outside ... officially released today! Outside embodies balance in many ways. It's a bridge between the sounds of the past and present, thoughtful lyrics and catchy tunes, ballads and rockers, reverence and fresh blood. In an era of party tunes and singing competitions, we deserve a talent like Jeff Litman. In every good way Outside takes me back to the renaissance of rock/pop in the 90s. First single Over and Over would fit it snugly with Michael Penn's oeurve. 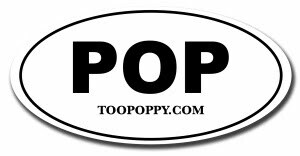 The title track is deliciously Jellyfishy and even features Jellyfisher Roger Joseph Manning Jr. on keyboards and backing vocals. Girl Down I-95 evokes sunny roadtrips soundtracked by Gin Blossoms and The Smithereens. Runaway irresistably sounds like Crowded House filtered through Soul Asylum. What makes Outside break out from the pack though is its diversity that sounds like a carefully crafted and beloved mix-tape. Not content with mere hooks, Jeff fires up our emotions with throwbacks like Back To You that I'm convinced I've either heard on 70s AM radio when I was a kid or recently on a great Mike Viola album. Of course it's all Jeff, which is his genius. I don't name-drop flippantly. Jeff has earned these comparisons and frankly it's the fairest way to describe the album. Jon Brion. Elvis Costello. Wisely. Paul Westerberg. 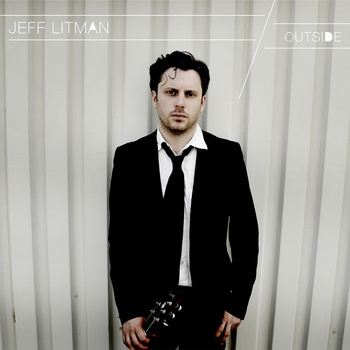 Jeff Litman. It works. One great album is rare and fleeting. Two great albums are the works of a master.